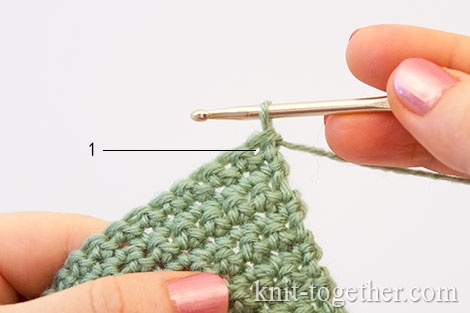 Knit Together | The Single Crochet Stitch, how to make the single crochet. Crochet Lessons for beginners. All the variety of patterns crocheted is created from a combination of the chain stitches in combination with other stitches. 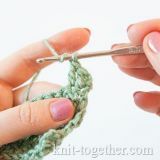 I think that the single crochet is used more often all other stitches, and it can be considered as a starting point for further learning to crochet. 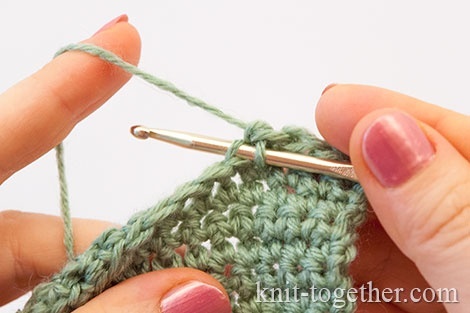 The single crochet is low and form a very dense fabric. 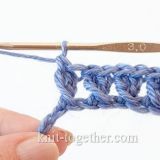 The upper part of the stitch there are two loops, the front loop (closer to you) and the back loop (farther from you). 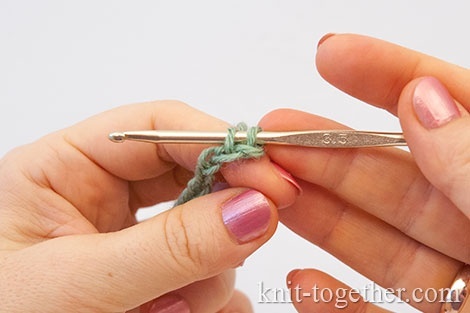 You can make the single crochet three ways: inserting the hook under front loop, under back loop, under front and back loops. Appearance of fabric will be different depending on the selected method. The main method is inserting a hook under both front and back loops. In our charts and in the descriptions of patterns we use just this method, if not specified otherwise. And so, let's make a fabric using the single crochet. Make 20 chain stitches plus one turning chain. 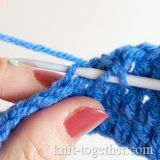 The first stitch make into the second off hook loop (the loop on the hook is not counted). 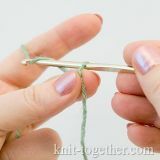 Insert your crochet hook under front and back loops, catch the working yarn and pull it toward you through the work: there are now two loops on the hook. Then again catch the working yarn and pull it through both of the loops on the hook. There is now one loop on the hook. We made one single crochet stitch. 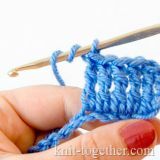 Then make a first row of single crochet stitches, but insert your hook under front loop, because it is easier for the beginner crocheters. 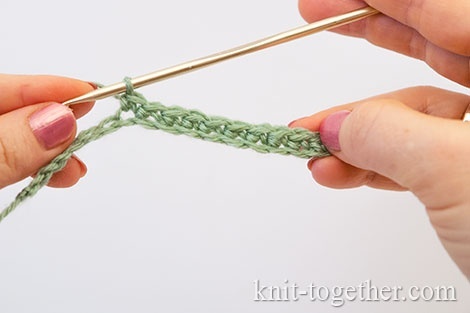 Turn your work, make one chain for the turning chain and then make second row of the single crochet stitches. 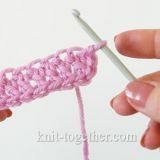 In this row you insert your hook under both the front and back loops of each stitch. In order to the edges of the fabric were smooth, you need to make correctly first and last stitches of the row. 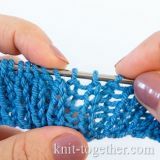 Often, especially if working with the thin yarn, beginners often skip the first stitch and they work straight off in the second stitch of the row. Sometimes they don't see the last stitch of the row and don't work in it. Be careful and count the number of the stitches. You always should be sure that there are 20 stitches (the turning chains is not counted). 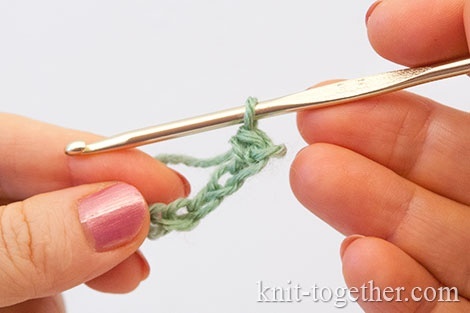 As we mentioned above, you can make the single crochet inserting your hook under front loop only or under back loop only. 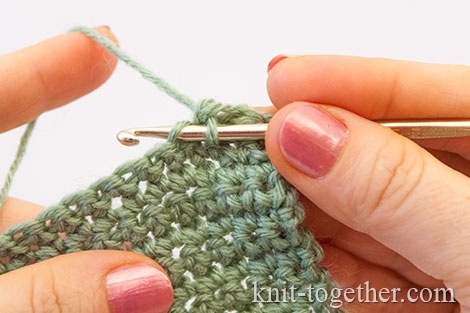 Important: the first stitch of the row always make inserting the hook under both front and back loops that the edge was smooth and enough tight. 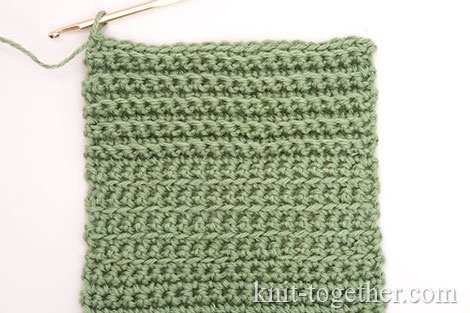 Continue crocheting your swatch: several rows make under front loop and several - under back loop. Don't forget make a turning chain. Look at the result: it is different in these three cases. 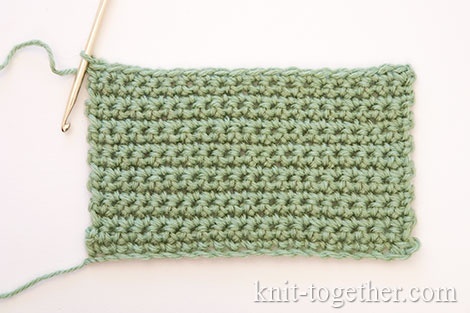 In the photo: at the bottom - several rows of single crochet stitches under both loops, in the middle - under front loop, at the top - under back loop.